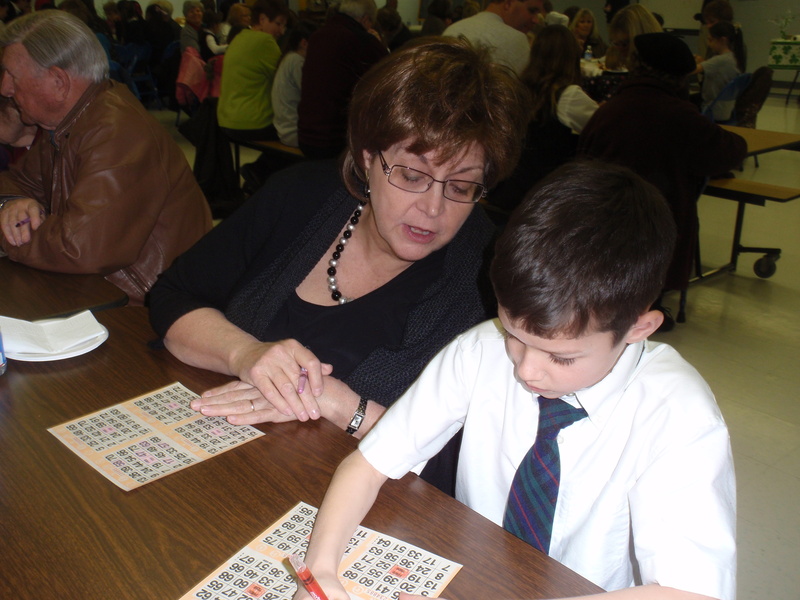 Catholic Schools Week Begins with Bingo! This is a serious game! 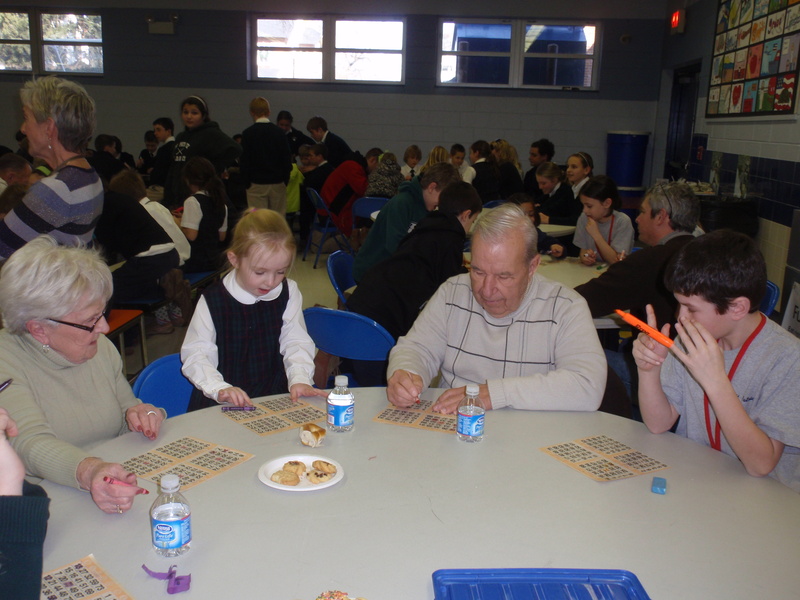 How great is it to begin our Catholic Schools Week playing bingo with our grandparents and special people? We had such a wonderful time, especially since the prizes were candy – Sour Patch Kids are my favorite! 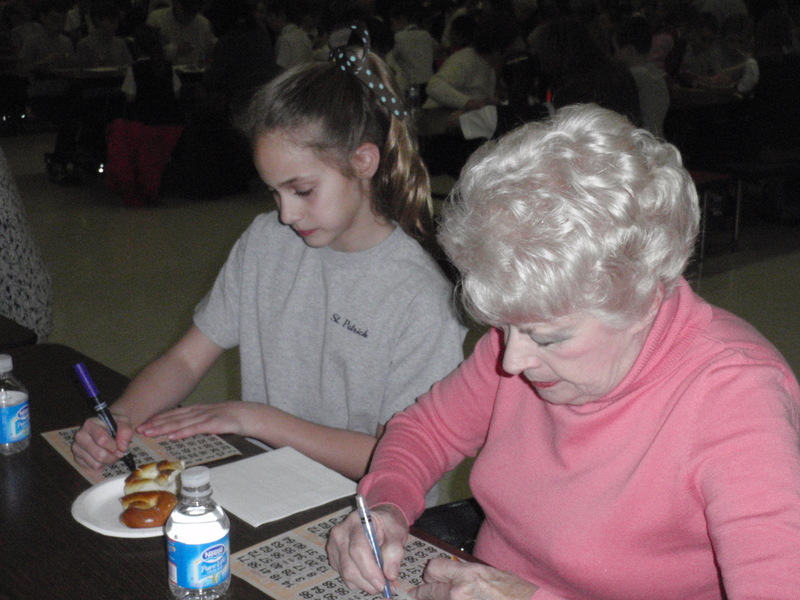 Thank you to all the grandparents and special people who attended the afternoon. There were tons of smiles, lots of laughter, and an abundance of excitement as the games progressed! 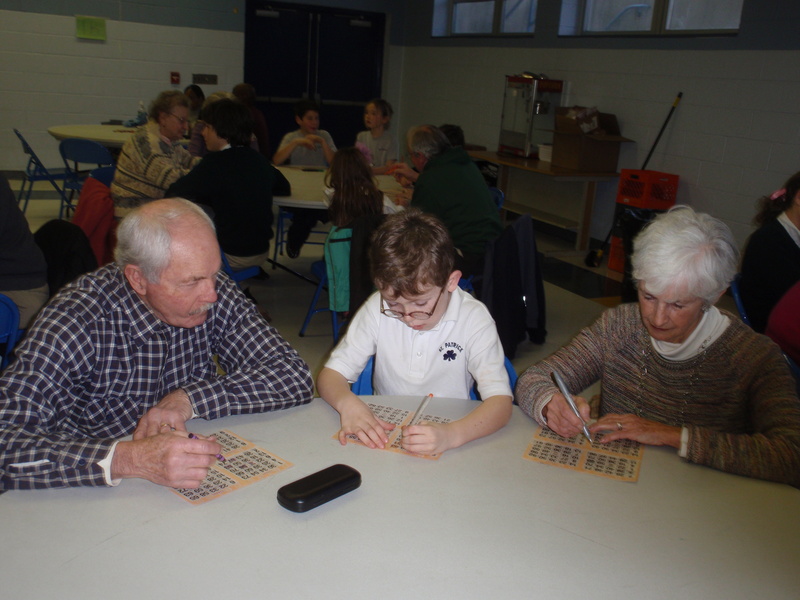 It was a super afternoon with our favorite people – our grandparents! This game takes major concentration! What number was just called? Last week the students of St. Patrick’s and St. Monica’s were able to come together for a few hours to meet, eat, tour, and play. 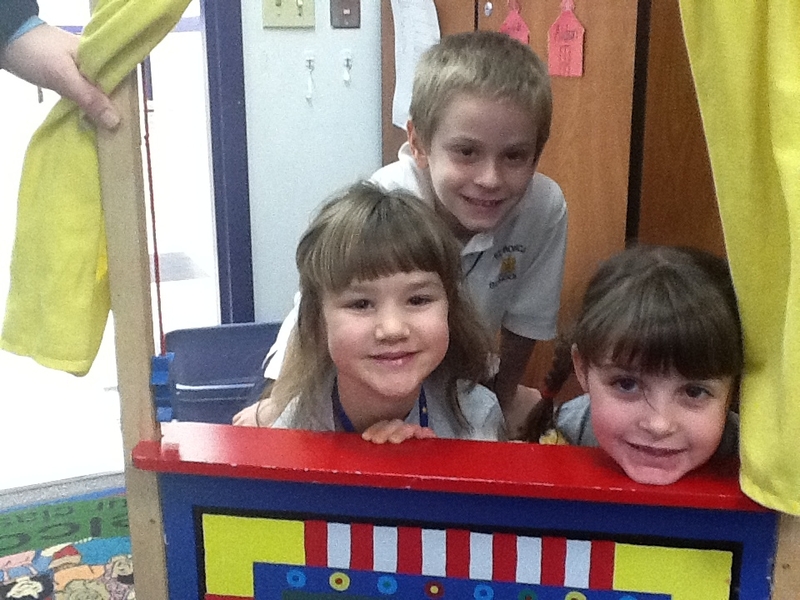 The St. Pat students were very happy to show off the school building during their tours. 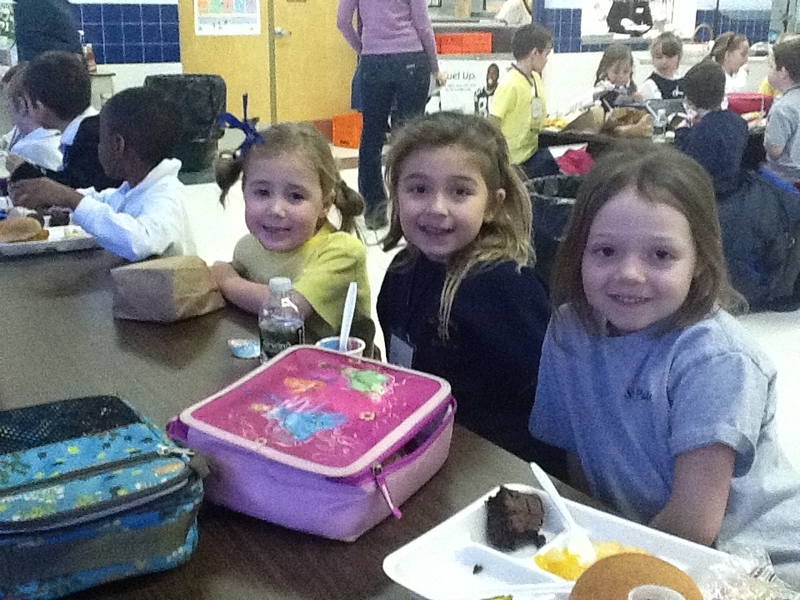 The days were filled with many smiles and the students quickly became friends with each other. The feeling throughout the school was very warm and welcoming. 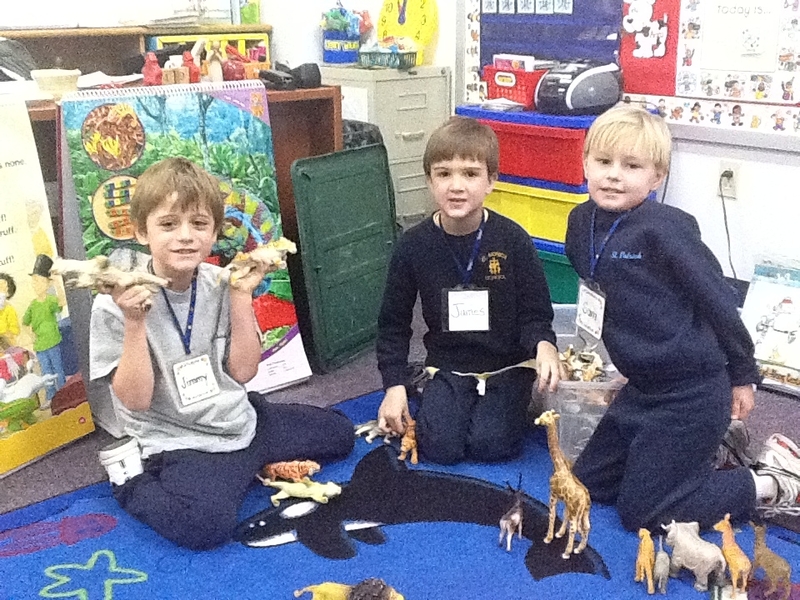 The students were also so excited to meet one another that it almost felt like Christmas morning! We look forward to meeting again and building life long friendships. 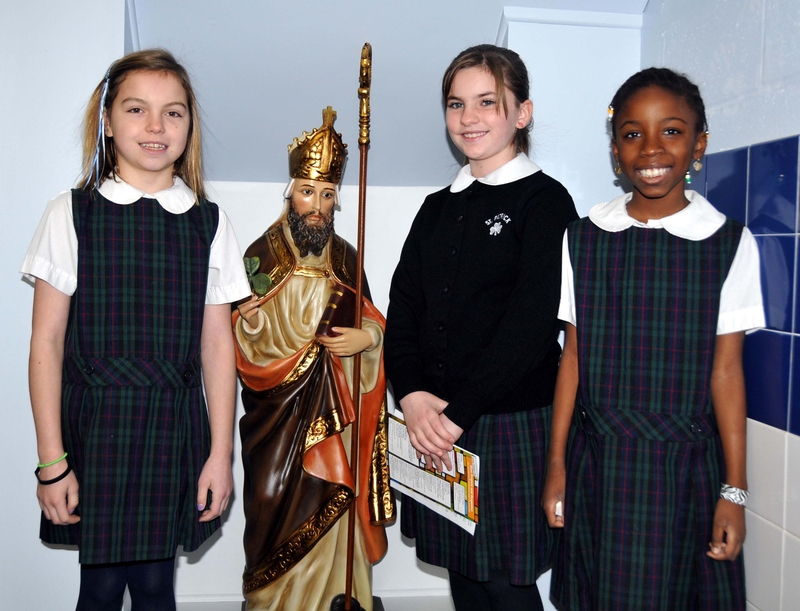 We are very happy to finally have our commissioned statue of St. Patrick here at the entrance of our school! 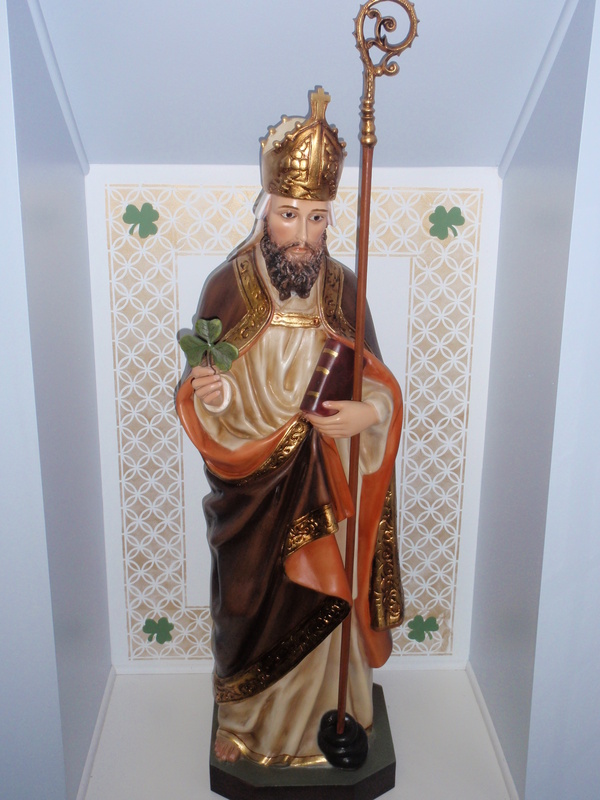 Way back in July we began the search for the perfect St. Patrick statue. We looked all over the United States and our search turned up empty. Finally, a company put us in touch with a small group in South America who specializes in statue making. This was a match made in heaven and the result was our beautiful statue! Come and check it out when you have a chance. I think you will especially like the shamrock!